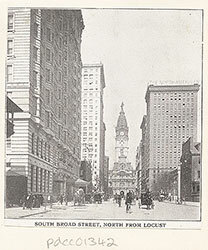 Broad Street, looking north from City Hall. 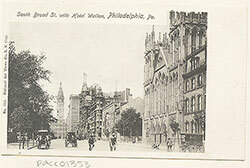 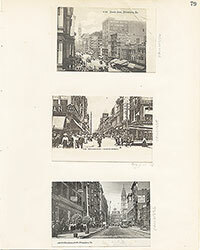 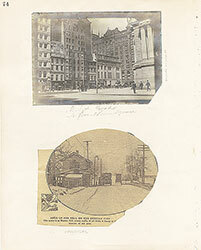 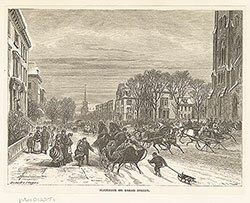 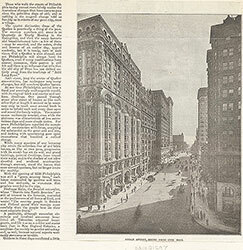 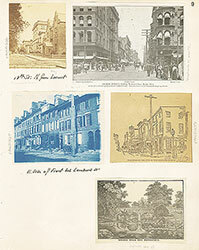 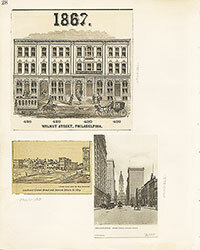 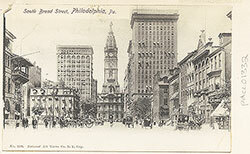 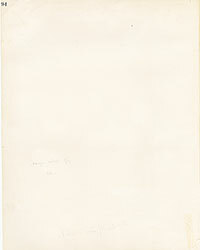 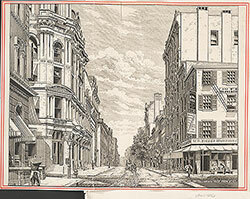 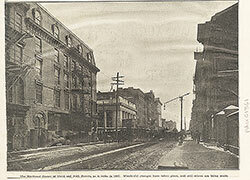 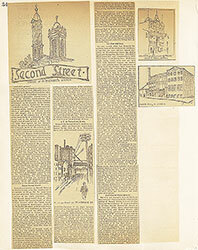 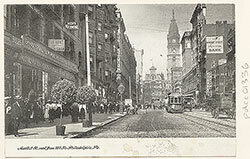 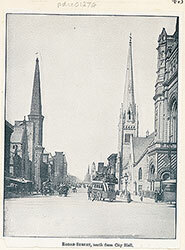 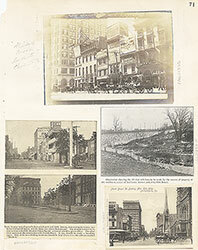 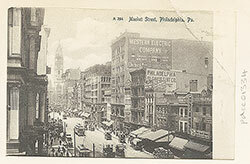 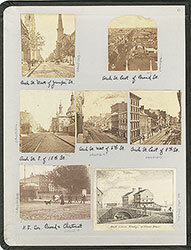 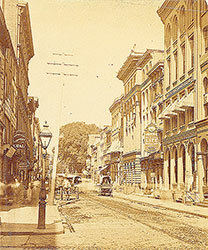 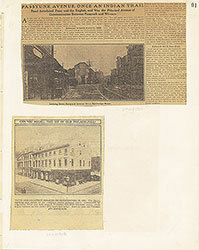 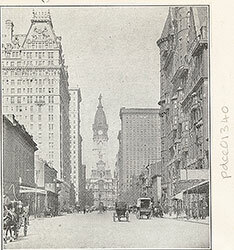 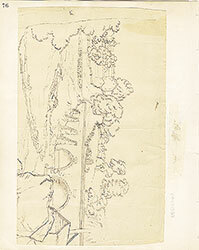 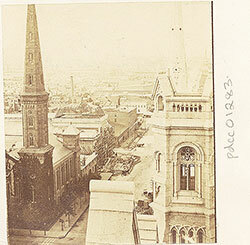 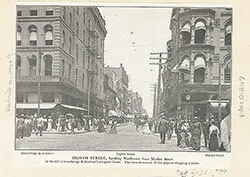 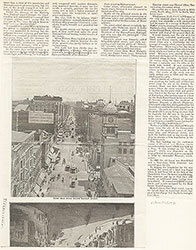 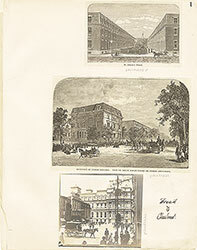 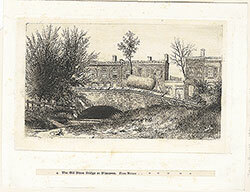 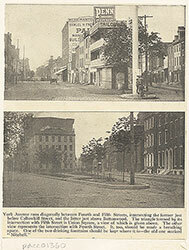 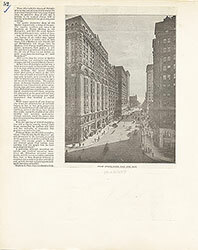 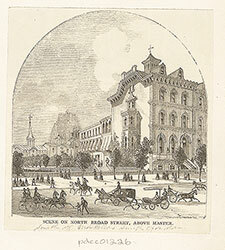 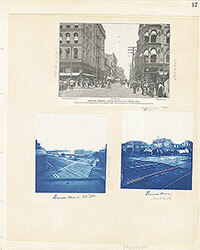 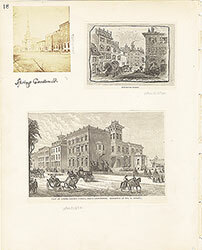 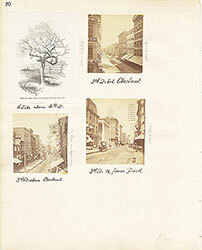 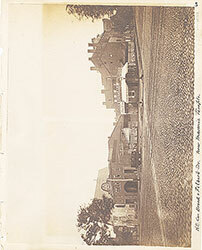 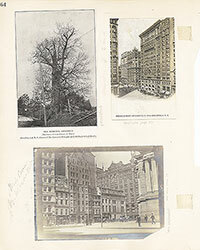 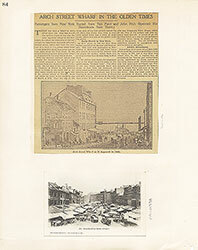 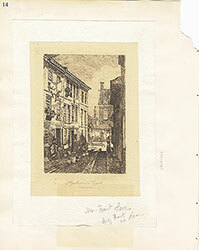 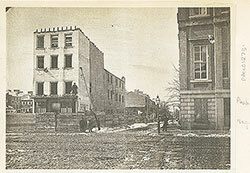 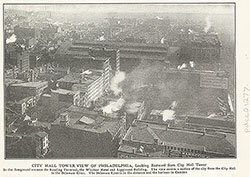 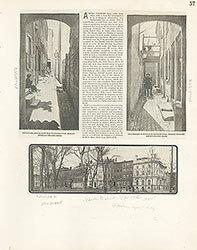 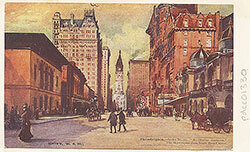 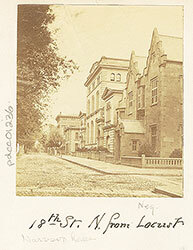 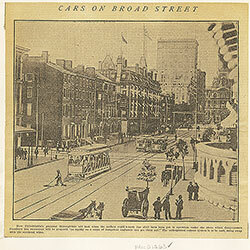 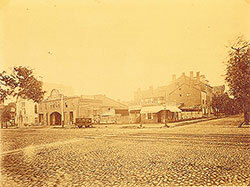 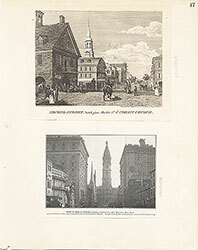 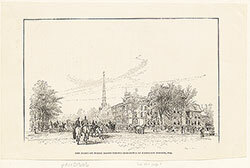 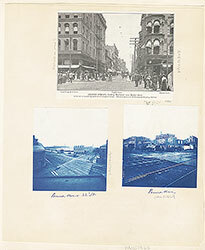 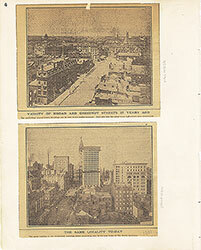 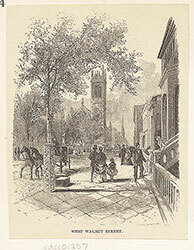 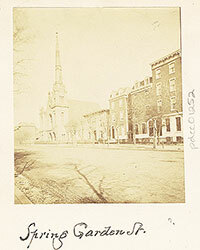 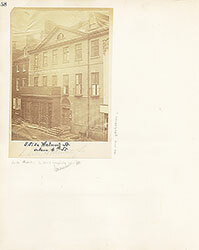 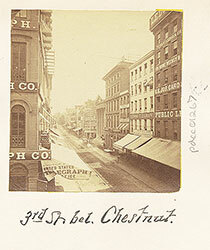 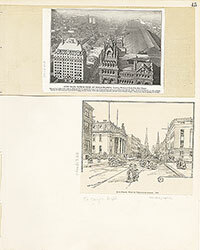 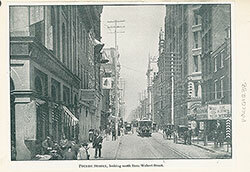 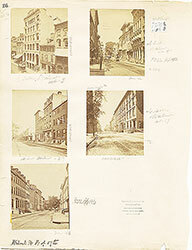 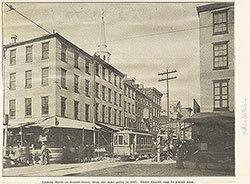 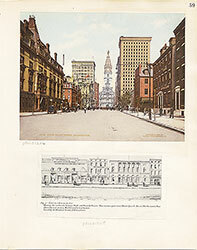 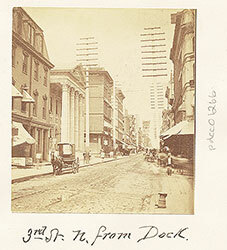 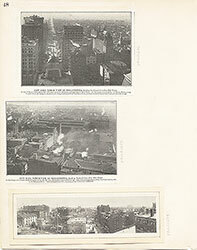 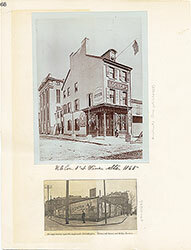 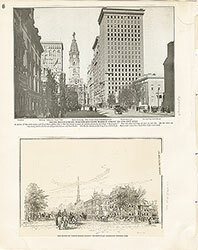 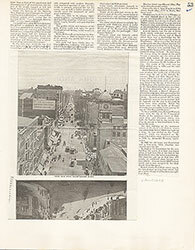 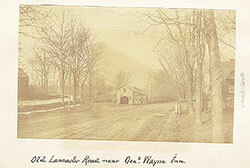 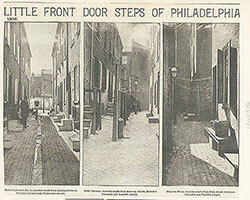 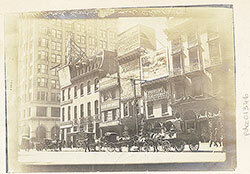 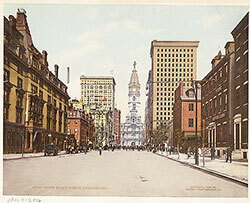 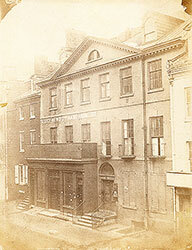 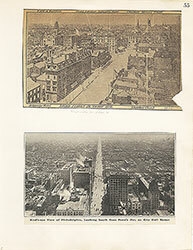 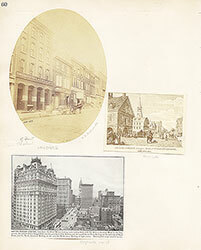 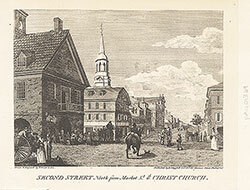 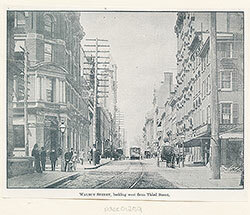 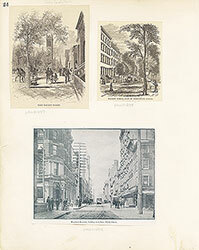 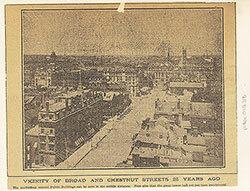 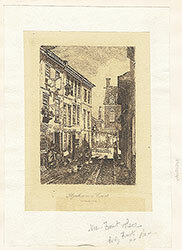 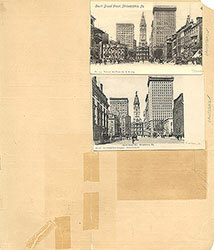 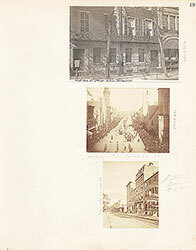 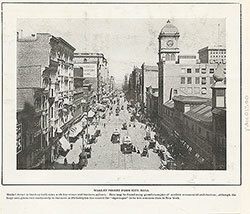 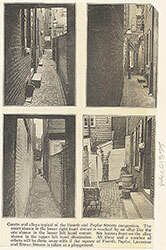 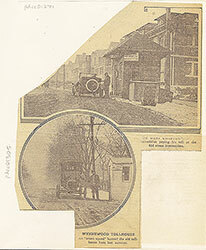 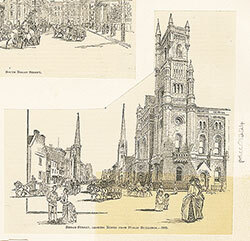 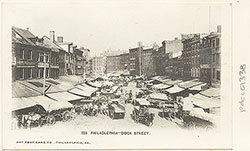 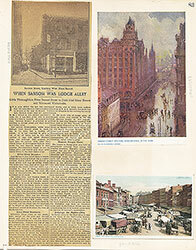 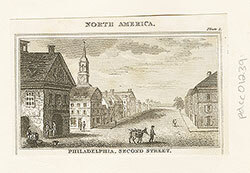 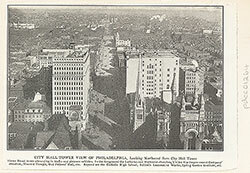 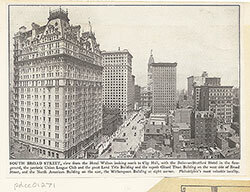 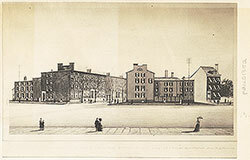 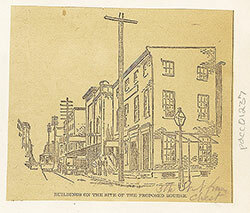 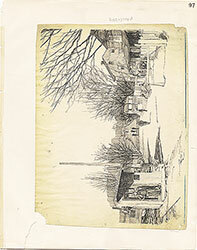 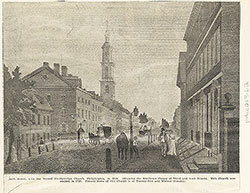 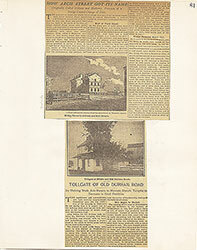 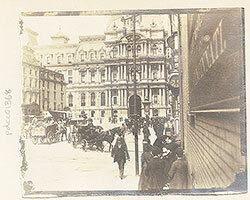 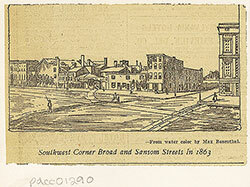 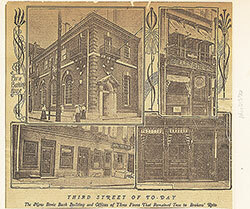 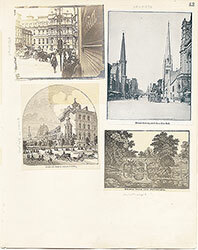 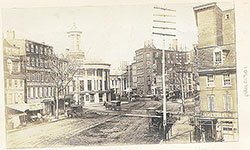 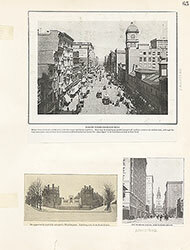 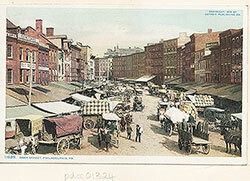 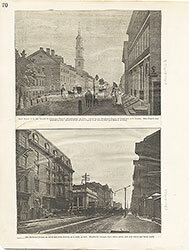 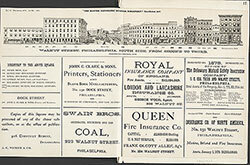 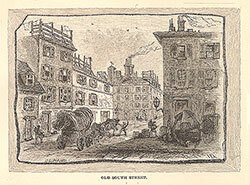 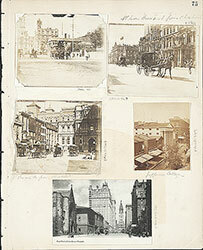 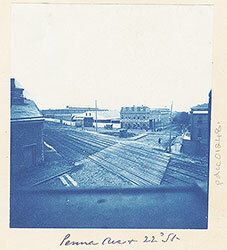 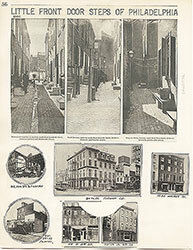 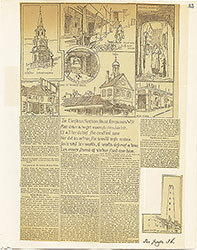 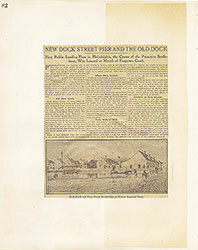 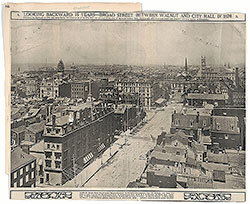 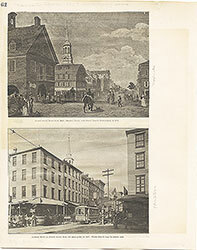 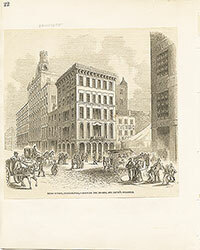 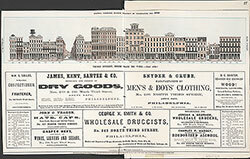 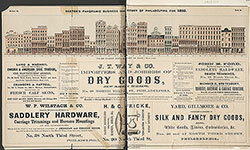 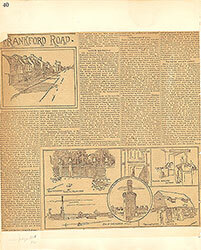 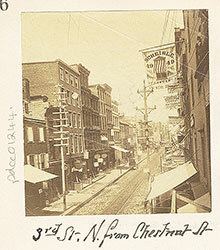 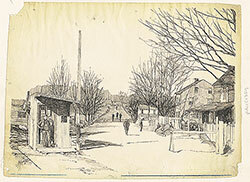 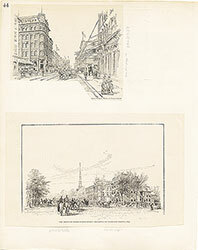 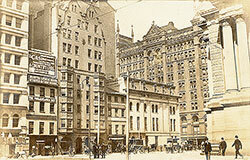 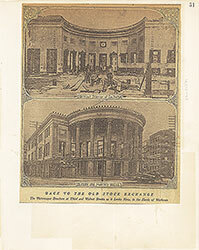 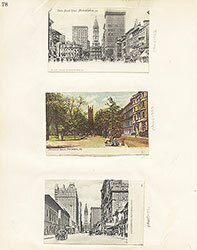 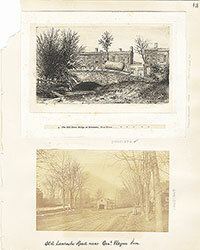 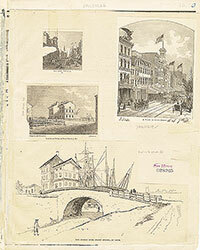 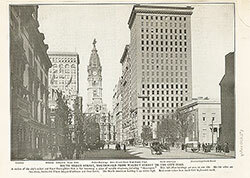 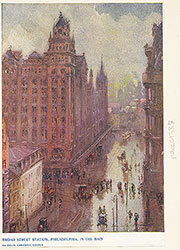 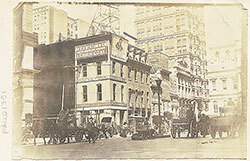 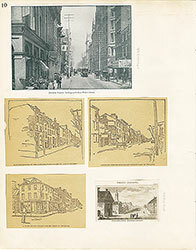 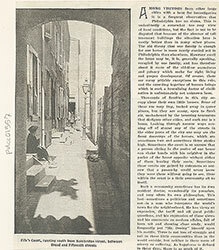 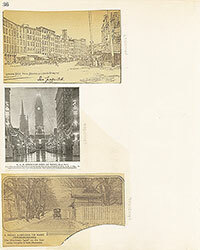 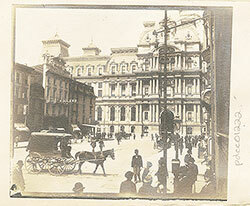 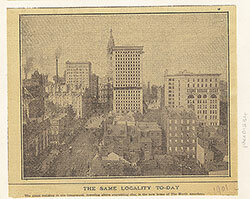 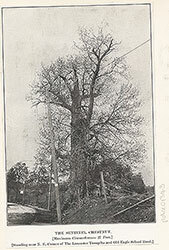 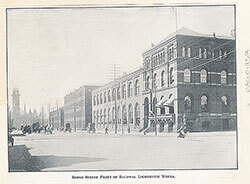 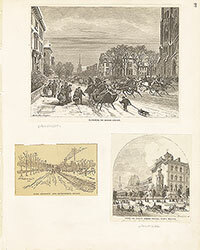 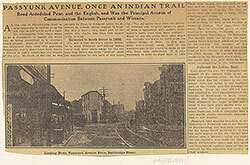 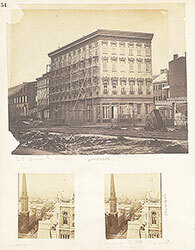 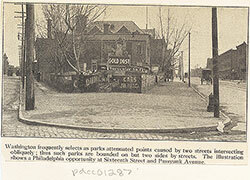 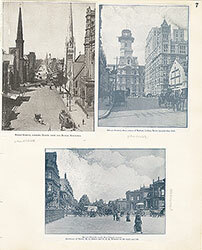 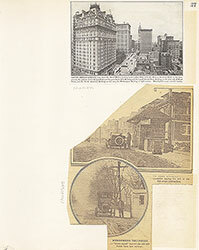 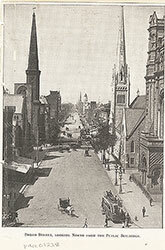 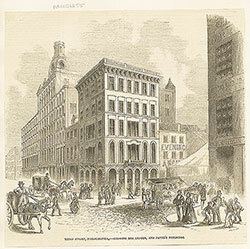 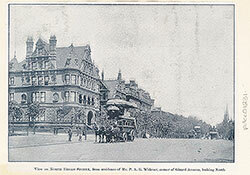 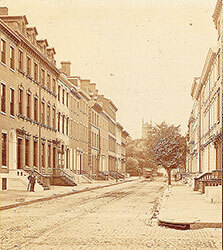 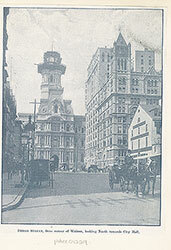 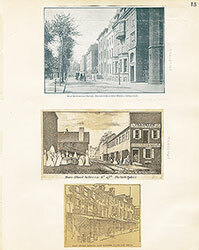 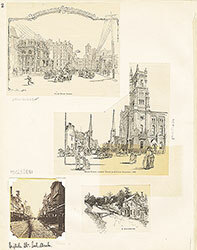 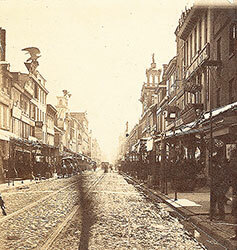 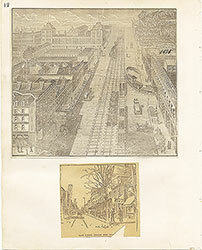 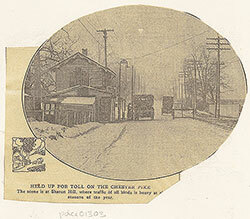 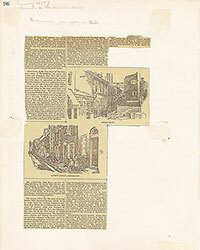 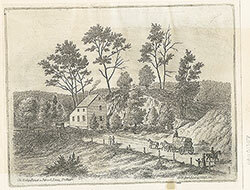 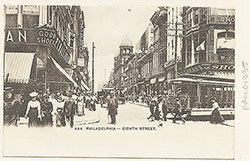 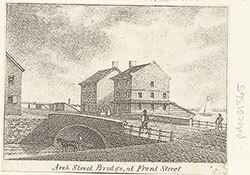 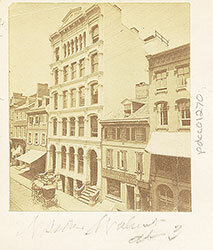 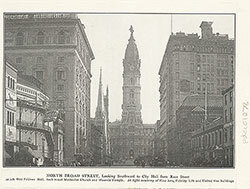 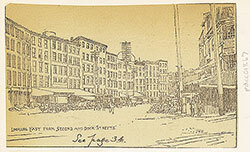 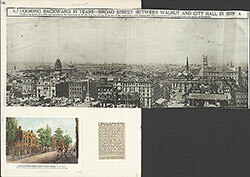 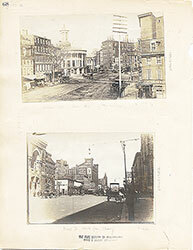 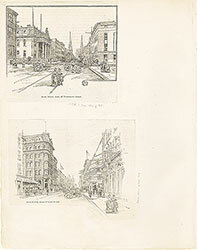 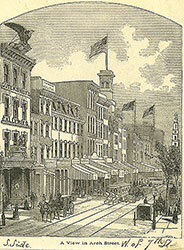 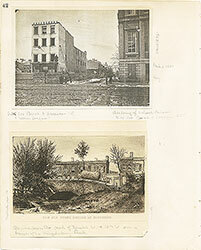 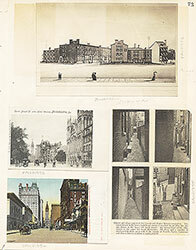 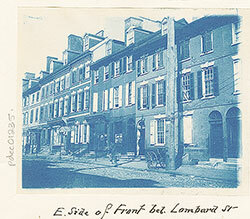 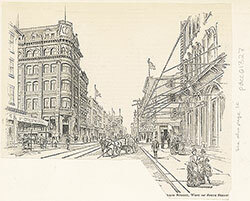 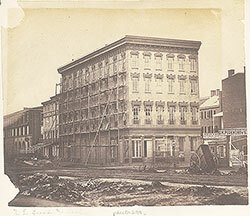 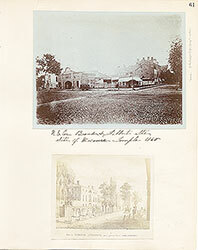 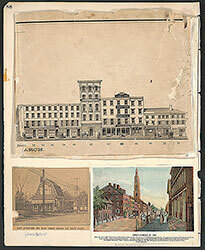 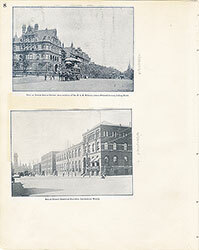 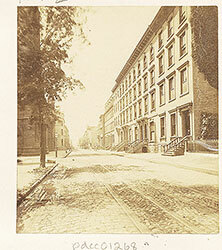 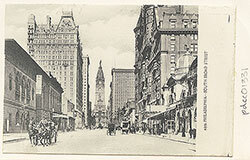 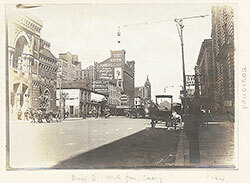 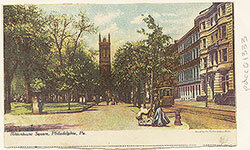 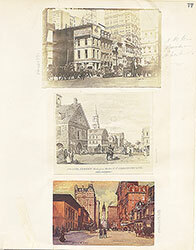 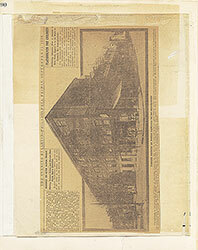 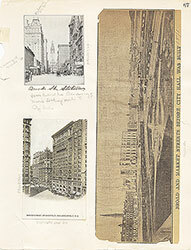 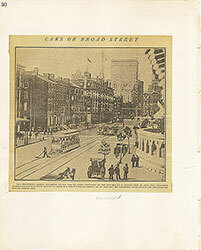 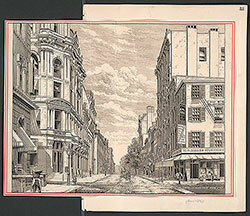 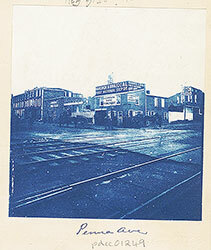 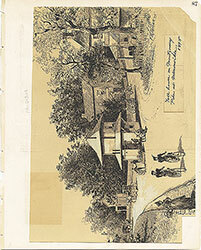 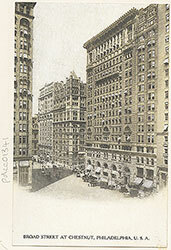 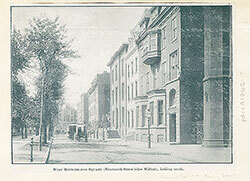 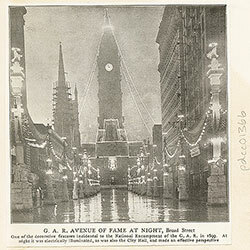 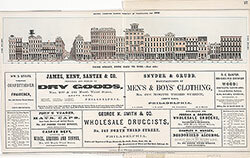 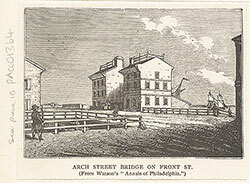 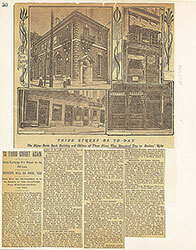 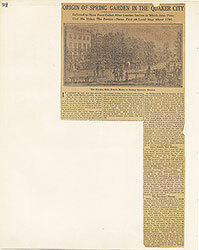 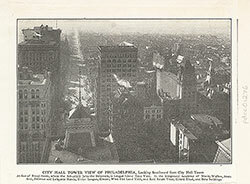 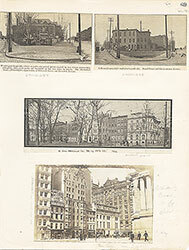 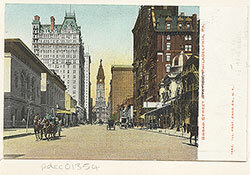 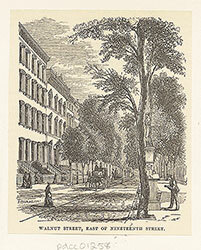 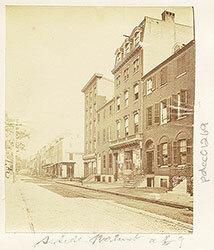 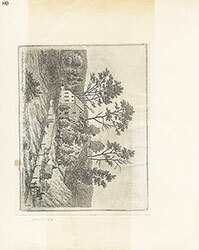 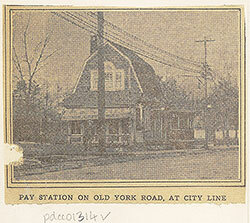 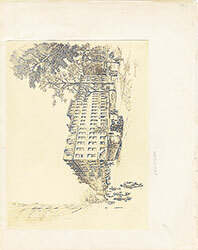 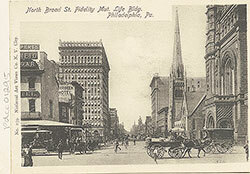 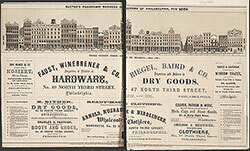 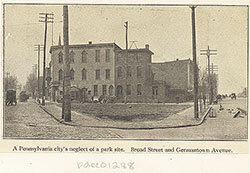 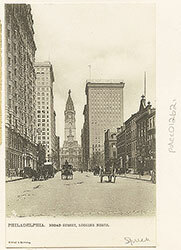 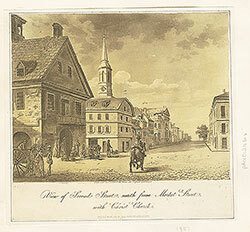 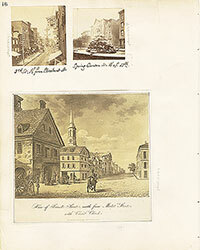 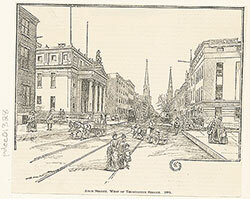 Title: Broad Street, looking north from City Hall. 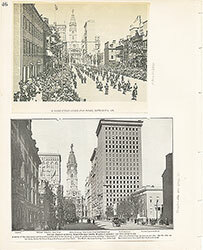 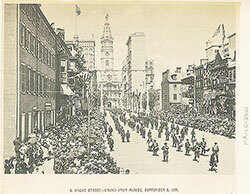 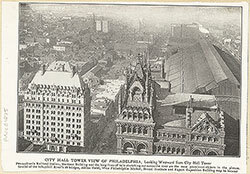 Shows an elevated view of a military parade with crowds lining Broad Street north of City Hall. 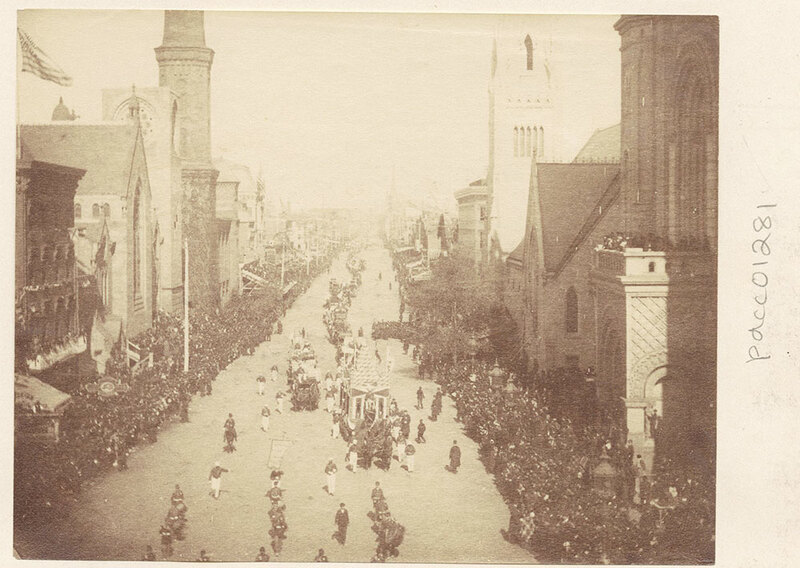 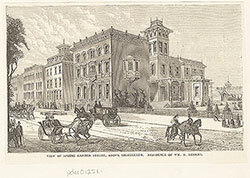 Uniformed soldiers and decorated wagons and carriages are shown passing in review before President Cleveland who is standing with small group above the portico of the Masonic Temple on the extreme right. 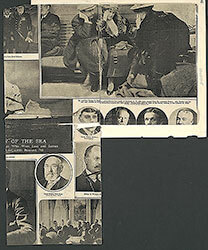 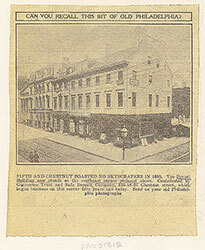 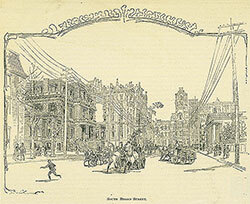 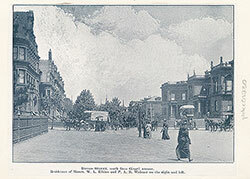 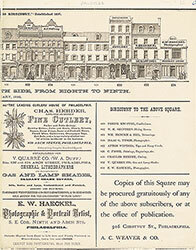 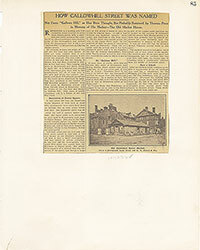 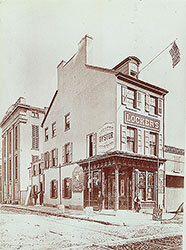 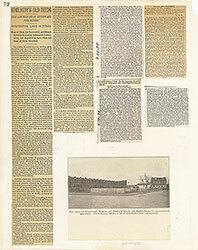 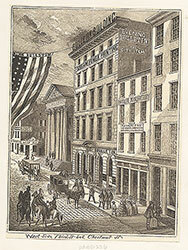 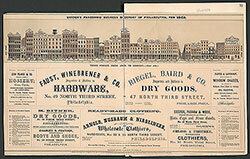 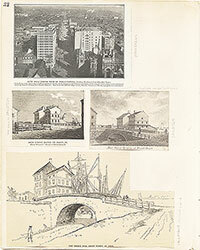 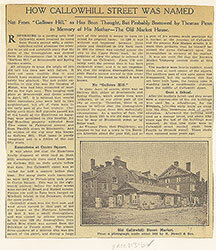 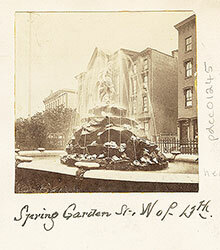 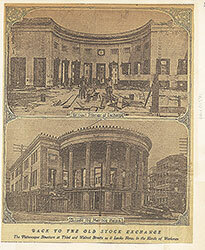 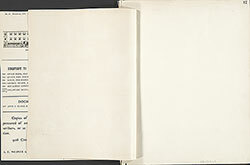 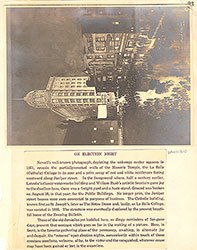 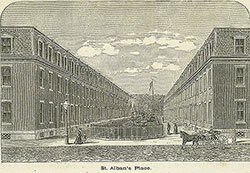 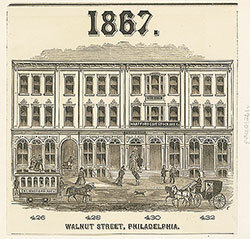 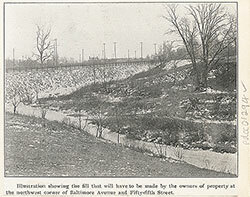 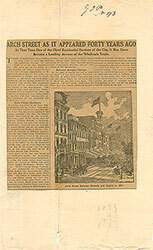 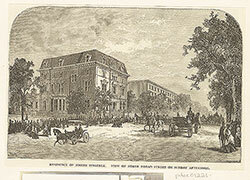 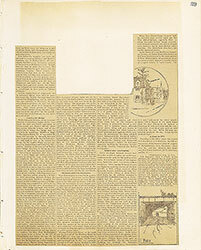 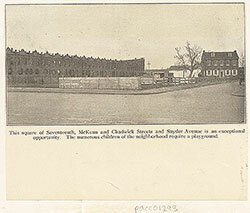 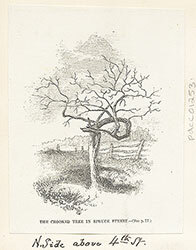 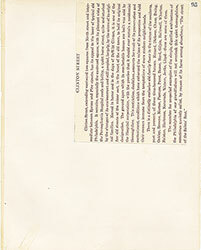 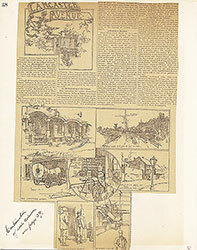 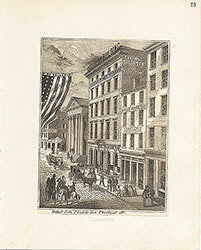 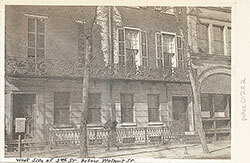 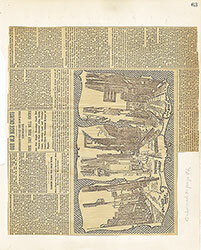 The event was in celebration of the Constitutional Centennial on September 16th, 1887.